This week I decided to try a super-mom thing with mixed results. I have been worried my kids weren't eating much breakfast or lunch at school due to the fact that they often seem hurried by the school's schedule and they are completely distracted when their friends are around. So I started getting up at 5:15am instead of the usual 5:30am to make some muffins for them before school.It was nothing fancy just some pre-made mixes and they were pretty happy about it, but what I learned by Friday was, I need that extra fifteen mintues of sleep to keep me coherent through the day and we're all a little sick of muffins. I'm going to be on "The Red River Writers Blog Talk Radio Show" next Thursday to read a love poem. 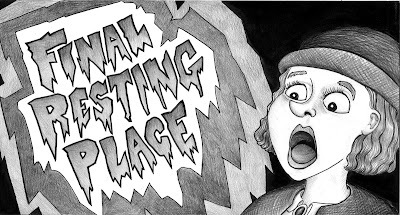 It's more of a love conversation really, between two of my characters in "The Horribles" created for my "Valentine's Day Special". 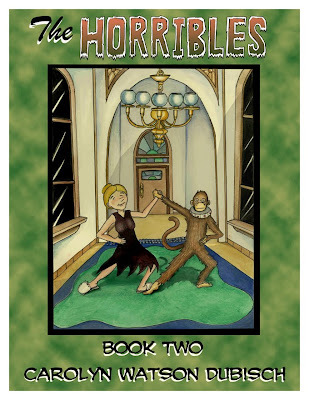 The big news about my comic though, is that a new e-book called The Horribles, Book 2 came out from Abigail Books this week. Check it out, it's a free download!!! Anyway, I'm back to "sleeping in" next week. Whew!